We agreed I would take it and let her know when I'd solved it. Husband looked at it for me, and was equally stumped. No back-on-itself bit meant no tension, so the stitches were rubbish. She hadn't brought the book of words, so we checked lots of chat rooms and forums and they were mostly very critical of the machine, especially the threading of it - so no help for us! The manufacturers kindly emailed me an instruction book, and one tiny sentence stood out as strange - you should only use metal bobbins. Strange because nearly all machines use plastic these days, and very strange given that the "goodie bag" she got with it had PLASTIC bobbins in! Anyway we decided to try a metal one just to eliminate that issue - and it worked! 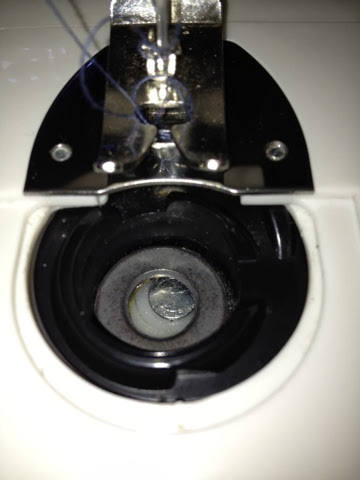 Astonishingly, the ring in the base of the bobbin compartment is magnetic, and that provides the bobbin tension. Glad you were able to solve the puzzle Benta, what a strange set up for the machine! Aren't you a sweetheart for figuring it out. never heard of that before! do you know what to do with a janome that wont stop sewing?! 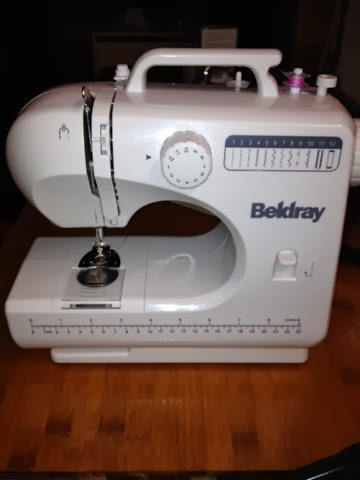 How strange - and how fab that you have worked out how to make it sew nicely again! Nice to hear a good news story like that! Was this in your teacher training toooooooo? We done on solving the mystery. Well there you go, you learn something new every day!